Companies today make it their mission to drive social change for future generations. These businesses create a culture of doing good, while boosting the bottom-line. Join Miracle Children as they interview the executives who make it happen. 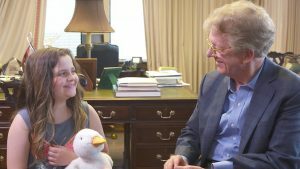 Chloe, a cancer survivor, visits with Dan Amos, CEO of Aflac to learn about responsible companies and how a special duck can help kids cope with cancer. 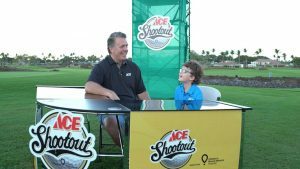 Parker wakes up early to talk about impacting children's health with Kane Calamari, president of the Ace Hardware Foundation and creates an impromptu quiz. Arne Sorenson, CEO of Marriott International discusses investing in local communities with Teddy, one of 10 million children impacted by Marriott each year. 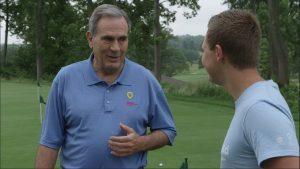 On the course with Tony Kenney, president of Speedway, 16-year-old Alex learns that giving generously is the driving force behind Speedway’s company culture. Tough Questions is an annual six-episode series that provides a look at how to do corporate social responsibility right. 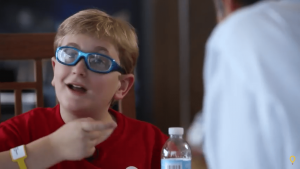 High-level corporate executives are interviewed by a child - one of 10 million annually – impacted by donations given to Children’s Miracle Network Hospitals thru its various fundraising partners and programs. The featured organizations are proud partners of Children’s Miracle Network Hospitals and support the nonprofit’s mission to save and improve the lives of as many children as possible. Each episode provides a balance of personal interest and business as the executive and child explore how organizations can work with employees and customers to create positive change in local communities.